Chattahoochee Bend State Park has been nationally recognized and awarded with the prestigious LEED Green Certification in May of 2012. Awarded with the LEED Sliver, Chatthoochee Bend is the first State Park in the nation to receive this great recognition for their excellent energy use, lighting, water, and material use. They have also incorporated a variety of other sustainable strategies by maximizing open spaces and limiting their use of energy and water. The award was established by the U.S. Green Building Council and the Green Building Certification Institute (GBCI). LEED is the nation's distinguished program for the design, construction, and operation of high performance green and sustainable buildings. 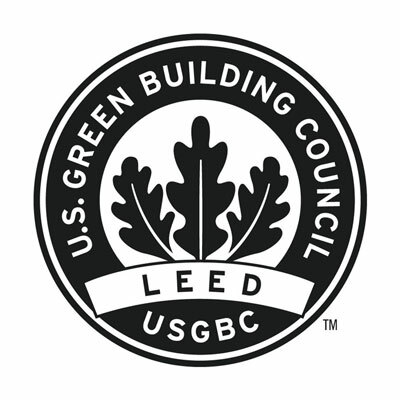 Select LEED accredited buildings and facilities save money for families, taxpayers, and businesses in addition to reducing greenhouse gas emissions and contribute to an all-around healthier environment for the community. Chattahoochee Bend State Park received this award, specifically, for several of their green designs and construction features. They have maximized open spaces on the project site by proving open space in excess of 21 times the building footprints of the project. They have applied light pollution reduction strategies for interior and exterior lighting and have implemented innovative wastewater technologies and water use reductions to reduce potable water usage by over 46%. Chattahoochee Bend has optimized energy performances by proving an energy cost savings of 19% and has utilized construction waste management techniques to divert over 62% of the construction waste from landfill destinations. The park used regional materials in their building and construction to eliminate transportation costs and used low volatile organic compound (VOC) paints, sealants, composite wood materials, etc... to improve the air quality in the park's facilities. Friends of Chattahoochee Bend State Park and park staff have much to be proud of in their efforts to maintain and bring continuous improvments to this fine Georgia state park. Make sure to visit Chattahoochee Bend State Park in Newnan, Georgia so that you can see for yourself the great efforts that many have put forth in proving an excellent park for the Newnan community and for Georgia. For more information, visit Friends of Chattahoochee Bend State Park's website, their Facebook Page, or their DNR webpage.